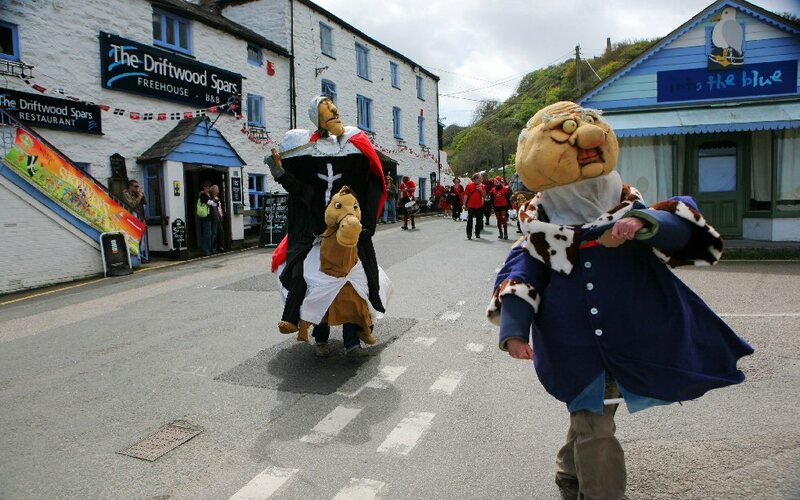 Starting at 12.30 pm on Sunday at The Railway Inn, life size puppets parade the streets of St Agnes to rally support for their cause in defeating the Giant Bolster. 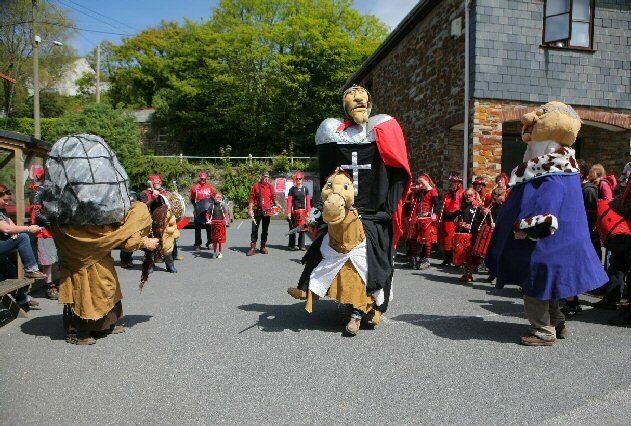 Joined by the drum band, dancers and musicians, the performance can be watched outside the village pubs. 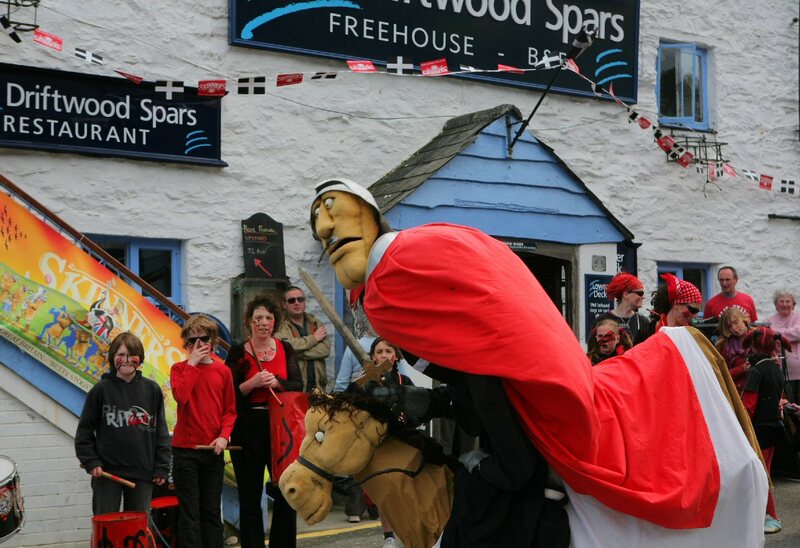 Approximate times are; St Agnes Hotel 12.45, Peterville Inn 1.00 pm, Driftwood Spars 1.30pm.